Even when it comes to quality, small guarantees excellence: AMIRA BASMATI RICE GMBH EUR was certified by the IFS. This confirms that the company has met the highest level of the rigorous requirements of the International Food Standard. 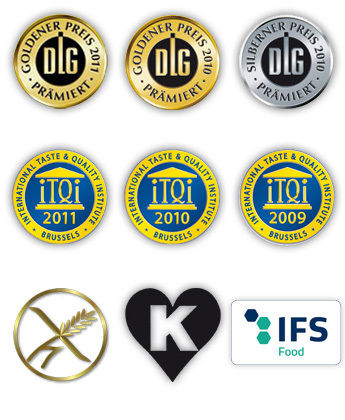 Every single year, our products are awarded by various international institutions for its outstanding taste and quality. A small selection can be found on your left.